This 3D Venn Video Tutorial shows how to use the circles diagram in Smartart to create a stunning 3d Venn chart. This video uses PowerPoint 2013. 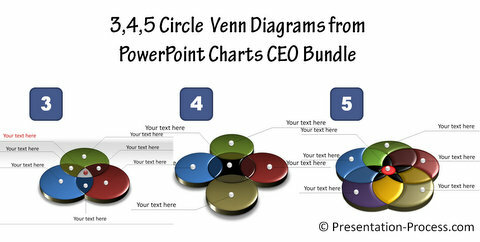 Here is a quick preview of the creative circle diagrams from PowerPoint CEO packs bundle showcased in the video above.